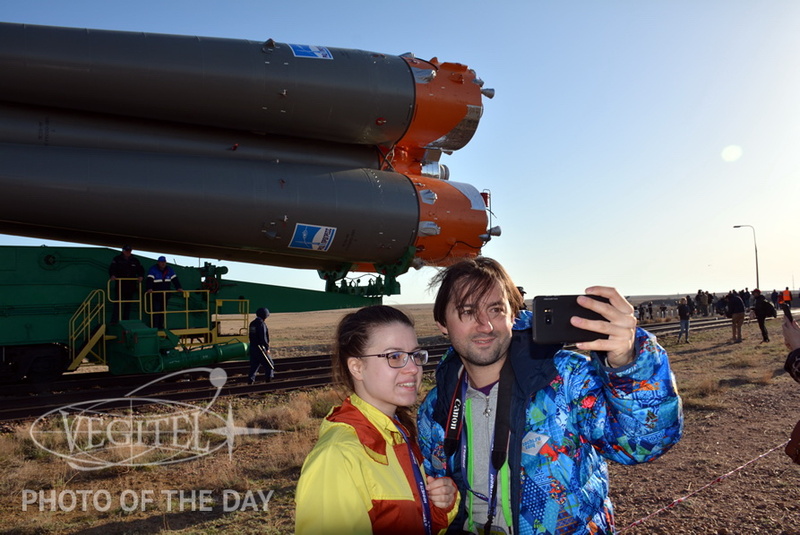 Selfie with space rocket background? - No sweat! 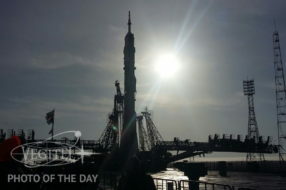 Our exclusive tour to the Baikonur cosmodrome provides an opportunity to make a lot of stunning shots on unique space facilities and to capture all the details of the preparation of the spacecraft and the crew for launch. 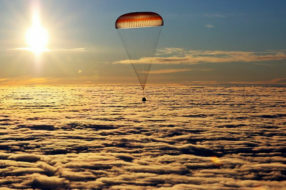 Everyone of us has had a dream in childhood to fly to space one time at least. This dream doesn’t seem to be so unreal as it seems for the first sight. Our specialists will help you to plunge into the world of real astronauts and to learn how the spacecraft looks like and how it operates. 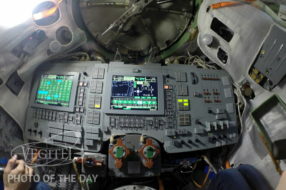 Soyuz-TMA spacecraft complex simulator can provide simulation of the work of all onboard systems and motion of the spacecraft, as well as the visual observation of everything what can be seen by astronauts through the windows or visual sight (the periscope) inside the decent module of the spacecraft. Gagarin Cosmonaut Training Center visitors have a plenty of opportunities to be a real space conqueror for a while. Our tour participants are having Sokol rescue spacesuit training. 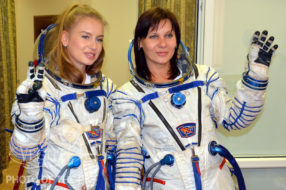 The cosmonauts are wearing these suits during the launch and reentry. 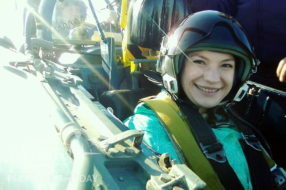 It is not necessary to train a lot or pass a thorough selection to be like a jet pilot, to perform aerobatics and try jet’s highest speed and capacity. 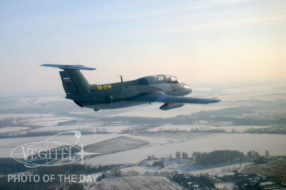 Just apply for the flight and come to the airfield; take your seat in L-29 or L-39 jet trainer cockpit and conquer the skies together with an experienced pilot! 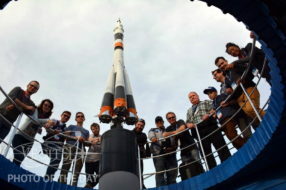 Our team at the pad No 17, Cosmonaut hotel. 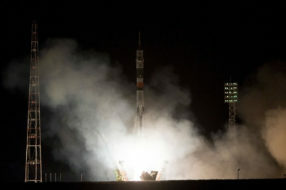 Yesterday evening our group witnessed Soyuz MS-08 launch taking place from Baikonur launchsite. 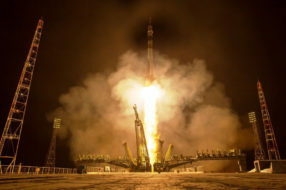 Tomorrow the spacecraft will dock to the ISS and the crew comprising Roscosmos cosmonaut Oleg Artemyev and NASA astronauts Andrew Feustel and Richard Arnold will start their half-a-year space mission. 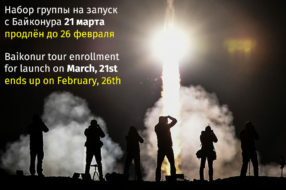 And we are starting group enrollment for the next Baikonur tour. The next manned launch is scheduled for June 06. Few minutes ago Soyuz MS-09 manned spacecraft was lauched from Baikonur launchsite. 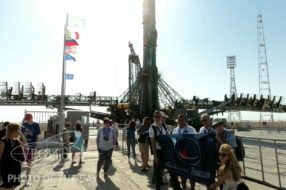 Our tourists witnessed this fantastic event We congratulate all space enthusiasts on the successful launch. Rocket installed onto the launchpad. In two days Soyuz MS-08 will go to space the launch is scheduled for March 21, 20:44, Moscow time. 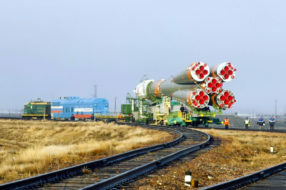 Today at 7.00 (local time) Soyuz-FG launcher with Soyuz — MS spacecraft was rolled-out from the integration building and installed onto the launchpad #1 (Gagarin pad). Don’t miss the greatest spring adventure! 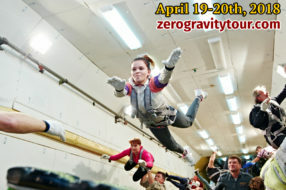 Perform zero-g flight aboard GCTC IL-76. Group enrollment for April 19-20 is on. A couple of seats still available! Only one week left to the orbiting of the next international crew onboard Soyuz MS-08 spacecraft. Our tourist group is getting ready to depart for Baikonur in order to participate in all pre-launch events. Despite it’s already too late to apply for this launch, you may request joining our tour to Baikonur in summer time — on June 6 we’ll see the blas-off of Soyuz MS-09. Aircrafts come first! Our brilliant sky conqueress!